The color Red is undeniably the most passionate and strong color on the color wheel. It represents love, passion, anger, adventure, impulse, war, desire, ect....It's a grown up version of pink. If red were a woman, pink was the 12 yr old version of that women. 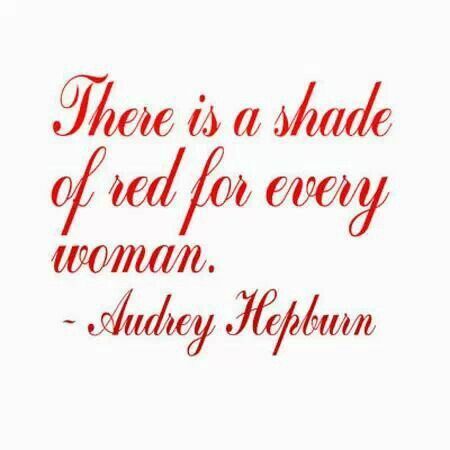 I believe a lot of things can turn a woman to red. Yes, I mean metaphorically. Pain, loss, falling in love, can all be factors of this "Red" transition in womanhood. I see it as a right of passage to be a strong, and confident woman. A lady in red. I believe I'm personally in my "red transition" phase. A phase that turns you into a woman who once was overly kind, slow to speak her mind, and unaware of what she can and can not do, into the woman who is kind yet stern, confident in her own voice and the power it holds, and aware of what she is capable of through Christ. Every woman goes through this. It can be tough, but it is needed. I am so glad I am there now, going through it with other women by my side who are also turning into that passionate red woman. Looking ahead, I am confident whatever life may bring. I am confident in who I am and who God is in my life. The good. The bad. The up's. The down's. Bring it on, let's paint the town red.